It’s official! My sister and I (and possibly another dear friend, Julie) are headed to Europe this summer! The rough itinerary is for me to spend a few days in Portugal seeing the Shoemakers, then meet up with Debbie and Julie to see Paris, Switzerland, Italy, and England- a month long trip! I’ve been thinking about taking a trip like this all year, so it is amazing to me that the tickets are finally purchased and plans are coming together. Part of the planning process has included sifting through my emotions about taking such a big trip. I’m single and not tied down, so I’m able to go to Europe for a month. Happy! But, I’m single and not tied down, so I’m able to go to Europe for a month. Sad! On one hand, I know that this is an opportunity that many people dream of, and I’m so thankful that God is giving me the chance to have such an amazing experience. But even in the midst of being thankful, I’m learning to be honest with myself and recognize that there’s a lot of sadness in my current ability to just pick up and leave the country. Being married and “burdened” by a family sounds like a lovely idea. Oscillating between these two extremes has been a little exhausting, to say the least (‘I’m happy! I’m sad! I’m. . .’). I’m learning to live somewhere in the middle, recognizing that the Bible often exhorts us to have thankful hearts, but it also tells us that Jesus invites us to cast our cares upon him. To give thanks and pray continually at the same time. 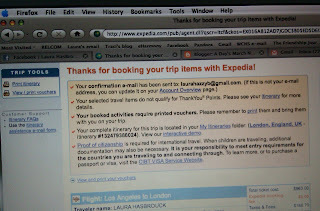 So, I’m going to Europe. And considering the sights I’ll see and the people I’ll be with, I’m pretty confident that it’s going to be awesome. But when I have moments of sadness that Mr. Wonderful isn’t along for the ride yet, I’m going to pause and pray, and ask God to send him soon. Traveling through Europe and praying boldly- both risky adventures that I’m looking forward to. I’ll be joining you on one of those risky adventures. You’re not alone. Love you, dear friend. Yeah! I’m so glad! So… when are you coming? 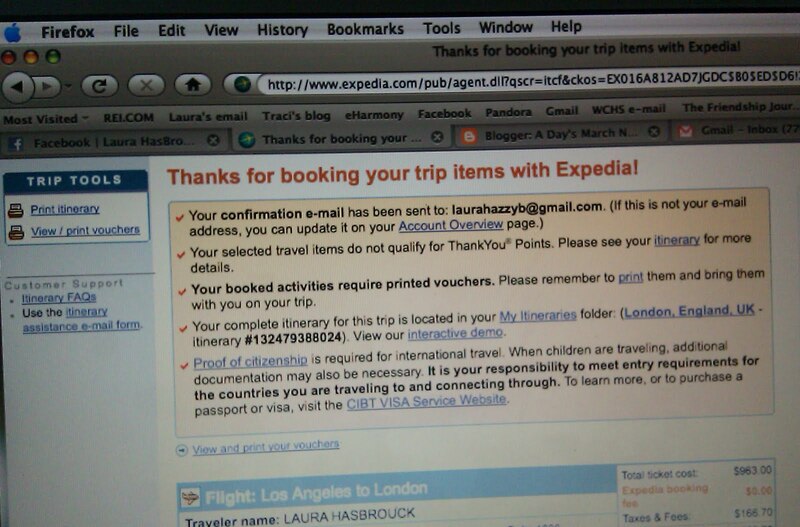 Laura, Travel to me is always an amazing experience. I am always looking forward to that next plane ride. I’m envious of the time you can spend in Europe and hope you have a great time. Laura, You are such a blessing to me and our family! We are praying for your time in Europe and for Mr. Wonderful!!! He will be one lucky man!